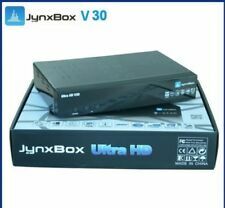 Jynxbox JB200 Satellite Receivers. Condition is New. Shipped with USPS First Class Package. Works with all models and versions. Best Quality. This newest model has improved button actuation and feel. 100% ORIGINAL. Compatible Models. 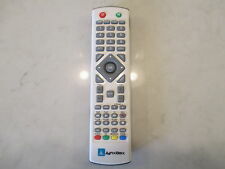 Jynxbox Android HD. For high-speed Internet connectivity, Ethernet and 802.11b/g/n Wi-Fi are onboard. There is also HDMI and composite video outputs for outputting video to an external display; HDMI and composite CVBS cables are included. Easy to change: Unplug power and remove 4 screws and unplug the 2 cables. Works fine and updated on latest FW. All Jynxbox Models and Versions V2 thru V500. Main Features. Compatible Models. IF YOU UPDATED YOUR BOX WITH INCORRECT BIN ROM THIS CHIP WILL FIX IT. IF YOU BOX CANNOT RECOVER THRU SERIAL FLASH DUE TO WRONG IMAGE THIS WILL FIX IT. 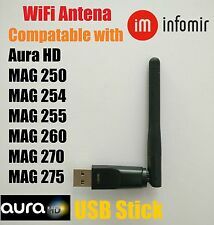 One New WI FI USB antenna for all models of Jynxbox & Aura HD & Mag 250, 254 & Linkbox No need for a wired internet connection . We will respond in less than 24 hours and usually within the hour. IF YOU UPDATED YOUR BOX WITH INCORRECT BIN ROM THIS CHIP WILL FIX IT.